Say "Welcome to the world little one!" with our favourite things! 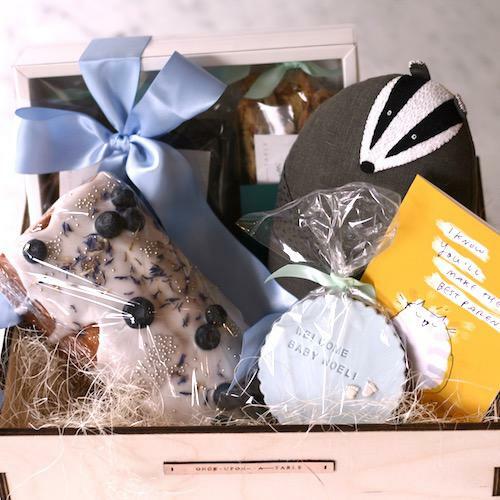 A classic cookie gift set, blueberry yoghurt loaf, and a giant customised valrhona chocolate cookie. Choose a pillow friend (Rufin the bear or Peter the badger, handmade in the Ukraine) and a greeting card from our assortment to go along with the gift.